Move over, gluten. There’s a new bad guy in town, and he’s stealing your thunder. Meet lectins, the next big thing to avoid. Diet fads are cropping up all the time. We’ve seen gluten free, paleo, and now keto go mainstream. There are benefits and drawbacks to each. Now lectins are having a moment, and my clients and friends have been asking me, Should I avoid lectins to lose weight? My off-the-cuff answer is if we avoided everything we are told is bad for us, we’d be down to air. Breatharians. My serious answer is: As with any food, it depends on you, your genome, and your health status. One person’s superfood is another’s poison. Lectins are carbohydrate-binding proteins found in legumes, wheat, certain veggies, seeds, dairy, and some animal proteins (farm-raised, non-organic and grain-fed meats). Nightshade veggies such as eggplant, tomato, and potato are especially high in lectins. Lectins bind to cell membranes and are resistant to digestion, meaning they remain intact as they pass through the GI tract and come out the other end. Lectins are considered anti-nutrients, which can interfere with the absorption of vitamins, minerals, and nutrients and potentially affect your digestive enzymes so you may not be able to break down food effectively. Some anti-nutrients, such as polyphenols, aren’t all bad though. They can actually be beneficial in small doses because of hormesis, a beneficial effect (improved health, stress tolerance, longevity) that results from exposure to something in low doses that is otherwise toxic or lethal in higher doses. Exercise and water are the main examples. Back to lectins. Lectins are an evolutionary tactic that enables plants to survive and proliferate. That means that on a basic level, plants don’t want to be eaten. If they are, certain compounds need to survive to spread their seed so the plant species doesn’t die out. When animals eat the plants, lectins (which form the outer coatings of seeds and are a part of the plant’s immune system) aren’t digested and are pooped out so they are dispersed in the ground to grow again and live another day. It’s actually pretty cool. Lectins were thrust into the spotlight thanks to cardiologist Dr. Steven Gundry (well, really probably because of Kelly Clarkson, but more on that later) and his book, The Plant Paradox. Dr. Gundry theorizes that lectins are highly toxic, and once ingested, they incite a “chemical warfare” in our bodies, causing inflammatory reactions that can lead to weight gain and serious health conditions. 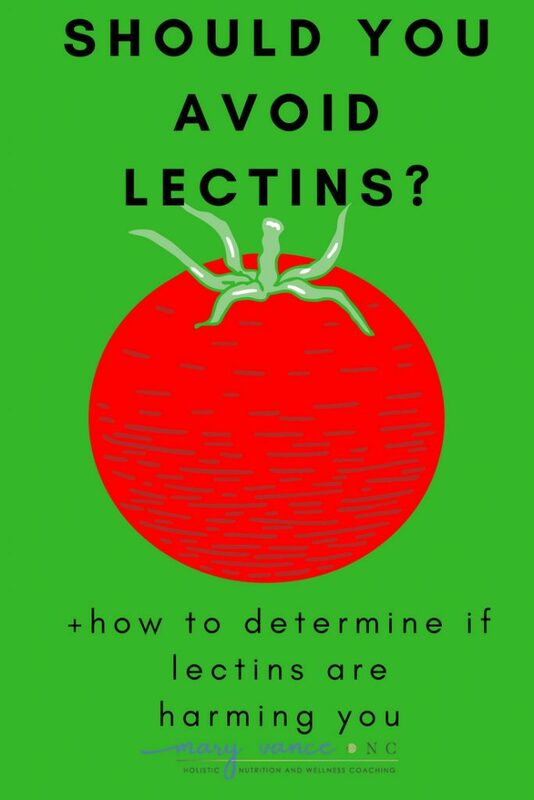 Gundry writes on his web site, “I believe lectins are the #1 Biggest Danger in the American Diet.” You can see his list of lectin foods to avoid here. Because we don’t digest lectins, we produce antibodies to them. (source) Some lectins present in common veggies are resistant to digestion and thus remain active during passage through the gut. That can provoke an intestinal and systemic immune response. (source) Some experts hypothesize that it’s no coincidence the top 8 most common food allergens also contain some of the highest amounts of lectins: dairy, egg, wheat, soy, peanuts, tree nuts, fish, shellfish. (source) IgG food allergies can develop from leaky gut caused by eating foods that cause inflammation in the small intestine. In some people, antibody production is bad and can trigger inflammation and set the stage for autoimmune disease. In others, it may be no problem. Again, this depends on your genes and your lifestyle. Even if you carry the genes for an autoimmune (AI) condition, it may never express itself if you eat a biologically appropriate diet and keep your stress and toxin exposure in check. If you have an AI disease, lectins triggering an immune response is particularly bad, as you already have an overactive immune system. Lectins can aggravate autoimmune conditions like rheumatoid arthritis and Hashimoto’s thyroiditis, which is why the autoimmune protocol is lectin-free (before lectin-free was cool). The autoimmune diet excludes nightshades (a rich source of lectins), dairy, nuts, seeds, and grains due to the potential of those foods to irritate the gut and produce an immune response. The goal in addressing AI disease is to calm down the immune system. 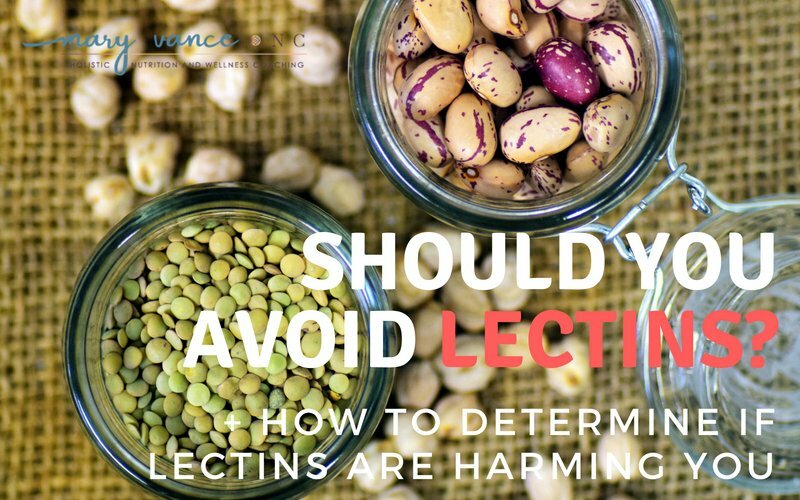 Even if you don’t have an AI condition, lectins could potentially injure the gut and contribute to inflammation and leaky gut, BUT cooking, soaking, sprouting and fermenting lectin rich legumes, for example, can reduce and neutralize lectins. You’ll be able to reap the excellent benefits legumes provide, like healthy fiber for the gut, while avoiding the potential downsides. That’s right! Cooking/heating foods basically destroys the lectins. Do Lectins Have Any Benefit? The use of lectins has advanced many areas of medical research, such as aging and cancer prevention. (source) They may be beneficial to the immune system, but lectins themselves offer no nutritive benefit. The foods they’re in, however, DO offer benefit. Legumes contain excellent fibers for your gut, for example, and tomatoes are rich in anti-cancer polyphenols. That doesn’t mean everyone will thrive on these foods, though. The real issue here is by avoiding lectins, you’re avoiding a number of foods that may have myriad health benefits. So the question is, does the benefit of eating these foods outweigh the risks? Well, cooking your foods before eating them eliminates lectins almost entirely. We’ve established that. Soaking, sprouting, and fermenting your foods can also decrease lectin content. (source) So if you don’t have a painful inflammatory condition, an autoimmune disease, or a gut disorder like Crohn’s or IBS, you’re probably fine eating foods that contain lectins. While I don’t recommend a grain-based diet, legumes and lectin-containing veggies can offer a lot of nutritive benefit in certain bodies. How do You Know if You Should Avoid Lectins? Kelly Clarkson removed lectins from her diet after reading The Plant Paradox. “I read this book… it worked. My autoimmune disease is gone and I’m 37 pounds lighter in my pleather,” she said. Does that mean you will lose 37 pounds? No. Remember, just because it worked for a celebrity does not mean it will work for you. I think this book actually really only took off once Clarkson came out in support of it. Clarkson has an autoimmune condition and a thyroid disorder, so she’s a prime candidate for inflammation when she eats lectins. And inflammation is the enemy of weight loss. Inflammation may even cause weight gain because it raises cortisol and affects endocrine hormones, including the thyroid. And your thyroid needs to be in tip-top shape if you want to shed fat. It’s no surprise that ditching the lectins worked for Kelly, because as we established earlier, lectins aggravate AI conditions and cause inflammation, and when you avoid them, the immune system calms down and your body can re-establish some homeostasis. The million dollar question of course is will avoiding lectins help me lose weight? There’s no clear answer here. If you are holding onto excess weight due to inflammation or an AI condition, yes, you may lose weight avoiding lectins because you’ll experience a decrease in inflammation. For everyone else, simply going lectin-free probably isn’t going to cut it, sorry. Lectins themselves solely are not the cause of obesity or weight loss resistance. If you have any of the conditions mentioned above, you could benefit from removing lectins for a month or so. Then you can add them back in slowly, one by one, to see if they cause flares or reactivate your symptoms. It’s THAT EASY to see if lectin-containing foods are causing you problems. I’ve seen people with AI disease, joint pain, and arthritis reap the most benefit from eating lectin-free. People with IBS and IBD may have to avoid lectin-containing foods long term. But if you’re simply looking for a quick way to lose weight, avoiding lectins probably isn’t gonna be your magic bullet. BOTTOM LINE: we’ve been told that fat, carbs, sugar, gluten, grains, legumes, sparkling water (! ), meat, and now vegetables will cause disease. Seriously, we’re down to water. Not sparkling water of course. The point I’m making is different foods are bad (and good) for different bodies. I can’t tell you if lectins or dairy or too much fat is bad for you, but fortunately with some detective work, monitoring your lab work for signs of inflammation, going by how you feel, and perhaps a lectin elimination diet, you can figure out what works for you. Very honest and to the point. Thanks for sharing, Mary!